This print is from the Hello World Collection by Cori Dantini for Blend Fabrics. 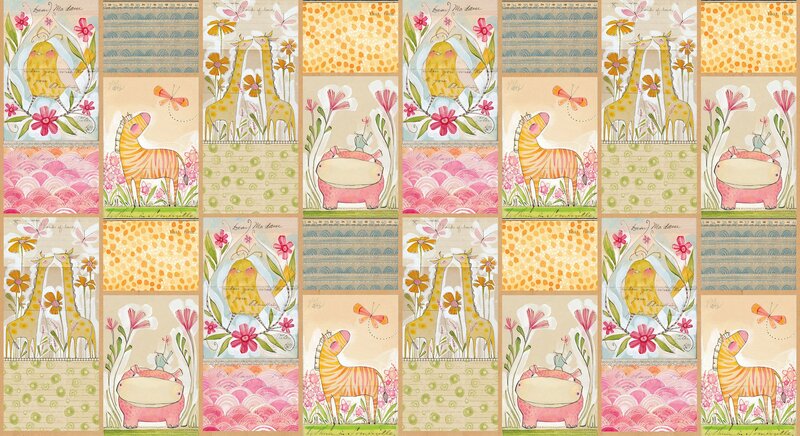 Cheerful color palette of whimsical giraffes, birds, hippos and zebras. Ideal for nursery decor, quilts and more! If multiple panels are ordered, fabric will be cut in one continuous piece.